In Daniel Day-Lewis’s final film of his career, he plays Reynolds Woodcock, an artistic dressmaker in 1950s London. His passion for the art of dressmaking consumes him to the point where he cannot be interrupted once without throwing off his entire day’s work. His obsession with his career is profound and it touches every inch of his life, most prominently his romantic life with Alma (Vicky Krieps). In the beginning of the film, he meets Alma and develops a romantic relationship with her, while continuing his career in dressmaking. She gets involved in the process, and ultimately pursues it as her career as she attempts to accommodate her life to Reynold’s. The film shows the audience the struggles with accommodating to one’s loved ones, especially when passions can disrupt them. Reynold’s constant obsession with his art form gets in the way of him showing Alma how much he cares for her. His obsession is so strong that the audience starts to doubt his capability for feelings. Alma molds herself to the whims of her beloved Reynolds in order to save their somewhat unhealthy, yet loving, relationship. Writer and director Paul Thomas Anderson, the genius behind “Boogie Nights,” “There Will Be Blood” and “The Master,” gives the audience a similar taste of his past films with “Phantom Thread.” “Phantom Thread” is just as fascinating and beautiful as his other films. Anderson’s sense of camerawork and visual style have always popped out to audiences, and the same goes for his latest masterpiece. In addition to “Phantom Thread” being an Anderson film, it also stars Daniel Day-Lewis, so that should be enough right off the bat. Day-Lewis’ performance in this film is just as riveting as his others, as he completely morphs himself into the character as he always does, making the audience believe that he is truly that character. Given Day-Lewis’ genius acting, there is not much more that needs to be said about him, but rather about his co-star, Krieps. She is a fairly new actress, and this performance will surely send her skyrocketing further into Hollywood. Her scenes with Reynolds are either romantic, tense or bitter, and her performance along with Day-Lewis’ make that a reality. The two together often act with their eye movements. Even when there is no dialogue between them, audiences can feel their intensity surrounding the scene. These are two performances of the year that will not be forgotten. 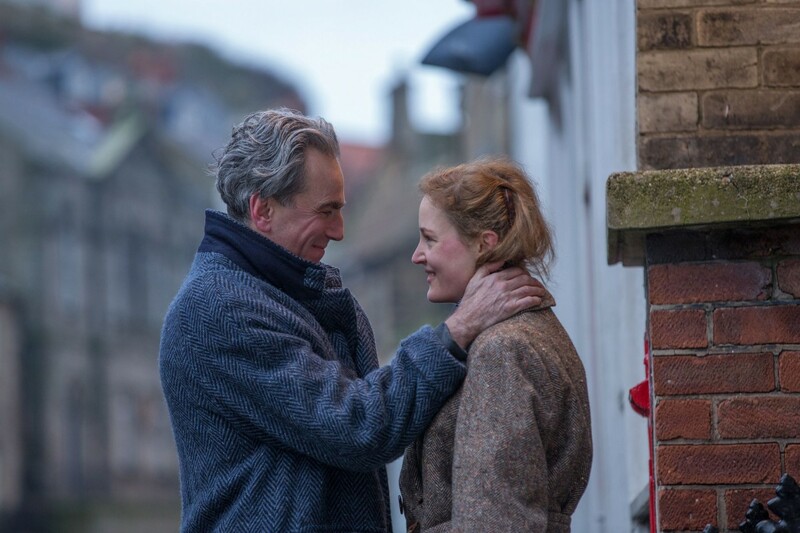 Anderson’s “Phantom Thread” should not be missed, although not everyone will love it. The film does take some risks towards the end in terms of storytelling. This risk will work for some and not others, but the film is still pleasing in every way a film should be.